A beautiful beach of white coral beach where you can swim and watch birds and sea lions, plus snorkel next to the black volcanic cliffs make this beach another of the Galapagos most spectacular. We decided not to go ashore, but instead to take a panga ride along the Cerro Brunjo rocks - here there were several caves in the cliffs where there were sea lions, pelicans as well as many sea birds. Cerro Brujo is the remains of a tuff cone. It is one of the first sites visited by Charles Darwin. Captain Fitzroy climbed to the top of the hill to scout out reefs. It has an impressive landscape, where it is often possible to see coastal and migratory birds, including pelicans, Blue-footed Boobies, and Swallow-tailed Gulls, as well as sea lions and marine iguanas. At times the lagoon is completely dry and deposits of salt may be found in the bottom. The people of Puerto Baquerizo Moreno used to use the lagoon as a salt mine. 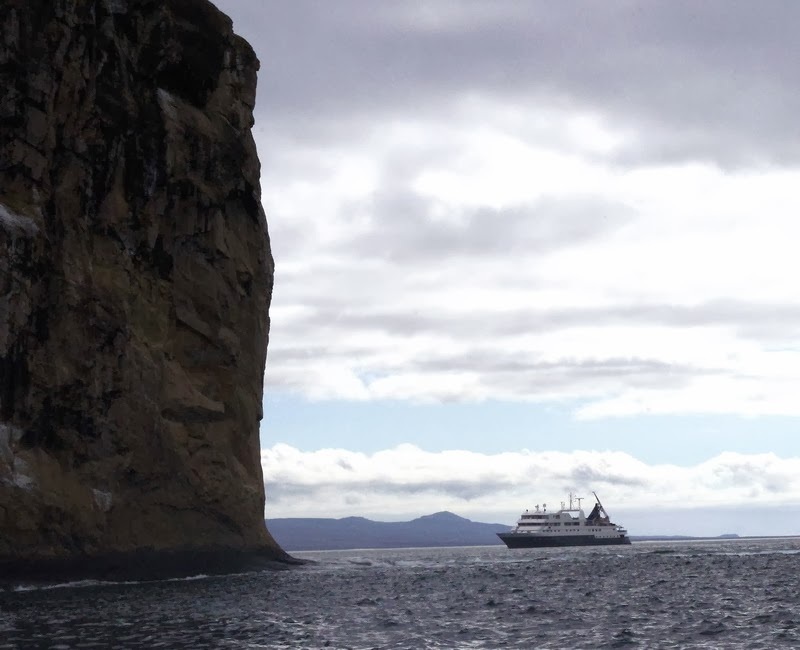 When leaving Cerro Brujo the ship did circumnavigate Kicker Rock, the striking remains of a volcanic tuff cone, now split in two. 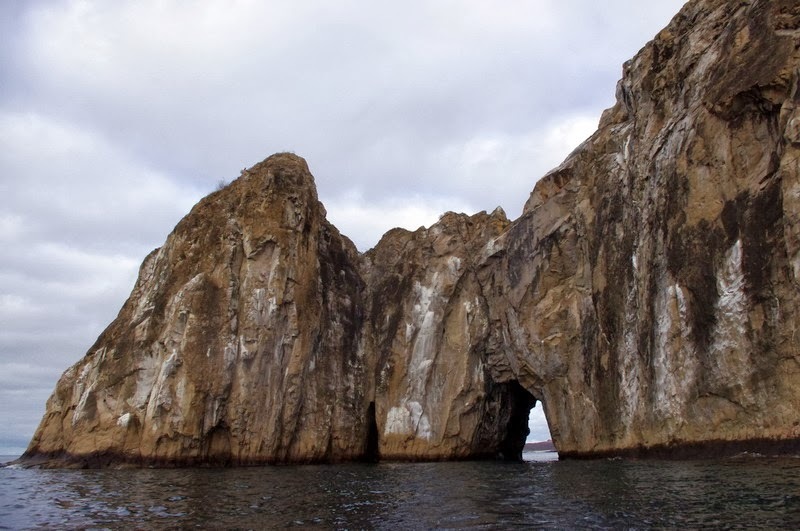 Kicker Rock or "León Dormido," which literally translates to "Sleeping Lion is a rock formation, located on the coast of San Cristobal. It is a magnificent island in the middle of the sea, rising 500 feet from the ocean, is shaped like a giant sleeping lion , hence its name. The rocks are remains of a vertical formation of tufa, and is a favorite place for various species of seabirds.